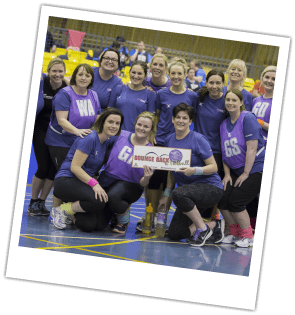 What is Bounce Back Netball? The ‘Bounce Back to Netball’ (BBN) concept is a legacy initiative designed by Netball Scotland to respond to the positive impact of Netball on the Scottish public following the Glasgow 2014 Commonwealth Games. BBN encourages people of all ages and abilities over the age of 18 to participate in regular fun, safe and affordable netball sessions, which will have a positive impact on health and well-being. The programme provides the opportunity for people to ignite or rekindle their passion for netball in a fun and sociable environment. 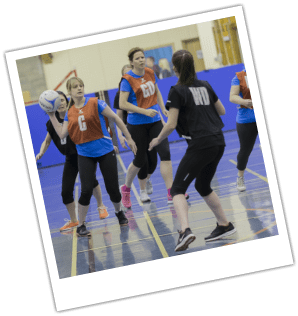 ​Many existing clubs, local authorities, corporate businesses and community groups provide opportunities for recreational netball and and the BBN Programme aims to build on their good practice to empower people to bounce back to netball. Sessions are pay and play (between £3-£5) and on your second week of participation you become a Bounce Back to Netball Member of Netball Scotland.